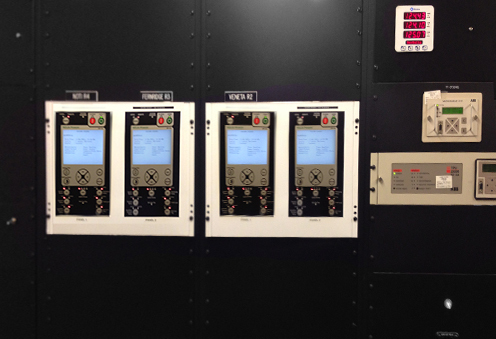 27 March 2018 – Driven by field demand and requirements for centralised management of Intelligent Electronic Device (IED) timestamping, Switchgear Engineering Firm NOJA Power today announces the implementation of the Simple Network Time Protocol (SNTP) in their RC Controller Series. This enhancement is freely available to users of the NOJA Power OSM Recloser System with RC10 or RC15 controllers as a complementary firmware upgrade. SNTP augments the OSM Recloser’s support for both integration into utility information technology systems and the Internet of Things. By standardising on a single timestamping and time maintenance protocol, utilities can ensure the reliability of timestamping across their network of Protection Relays and Switchgear for post fault analysis and network management. In support of reliability and availability, the RC controller can be configured to access multiple SNTP servers. In the event the primary SNTP server is down, the RC Controller can automatically contact the configured backup server. This redundancy ensures that correct and effective timestamping can be maintained during emergencies or abnormal system operating conditions. Network security is at the forefront of consideration for implementation of other Internet Protocol Suite implementations within the NOJA Power Recloser Controller. SNTP is no exception, therefore the SNTP implementation ports will be closed as default in the Recloser Controller, to be enabled by utilities with secure network facilities and a Network Time Protocol Server. As Utilities retire older secondary systems such as Protection Relays, Remote Terminal Units and Controllers, the replacement units tend to be equipped with IP based communications capabilities for management simplicity. Within the distribution network, deploying standard protocols for communications and management are key for centralising the data and integration of all components of the modern smart grid. NOJA Power’s implementation of the open standard of SNTP reflects this vision for the evolution of the distribution network, providing operations simplicity to electricity utilities.